CIA Precast & Steel can manufacture high-quality custom-made precast panels to any architectural and engineering requirements including various sizes, design textures, recesses, logos and thicknesses that meet relevant specified fire-rating standards. Cladding precast panels are offered in various thicknesses to meet fire-rating requirements, and these panels are generally clipped to the steel columns of portal-framed buildings. They can be used as full cladding or as one-panel high façade walls. 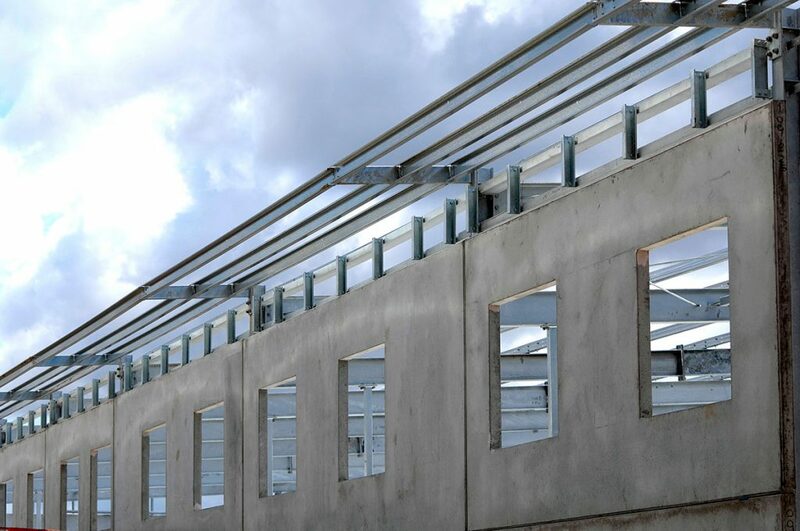 CIA Precast & Steel offers two types of clips for cladding panels; the traditional steel-type clip connection that is welded to the existing steel frame, or an alternative clip that requires no welding, saving on time and costly touch-ups. 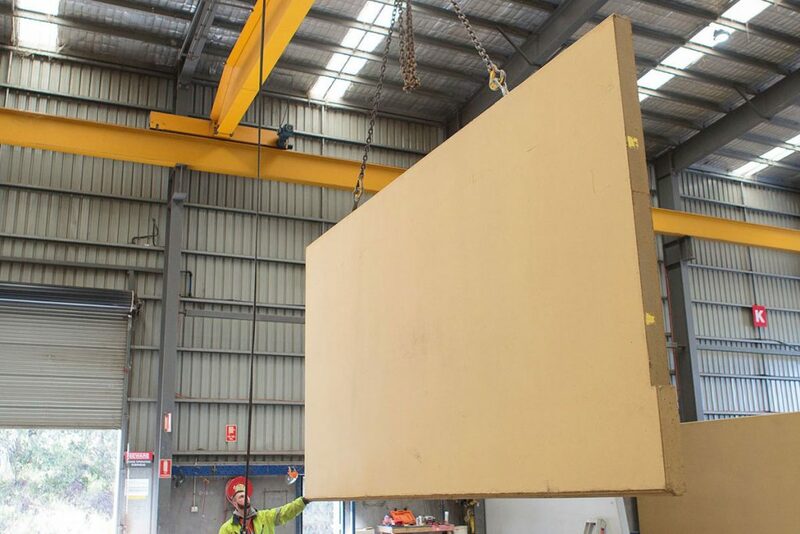 Providing extra height and adding a vertical line to your project, structural precast panels can be transported in sizes up to 3.4m wide and 10m long. They are then rotated onsite where they are propped in place ready for the structural steel roof to be installed. This process eliminates the need for steel columns, creating larger clear areas for racking and storage. 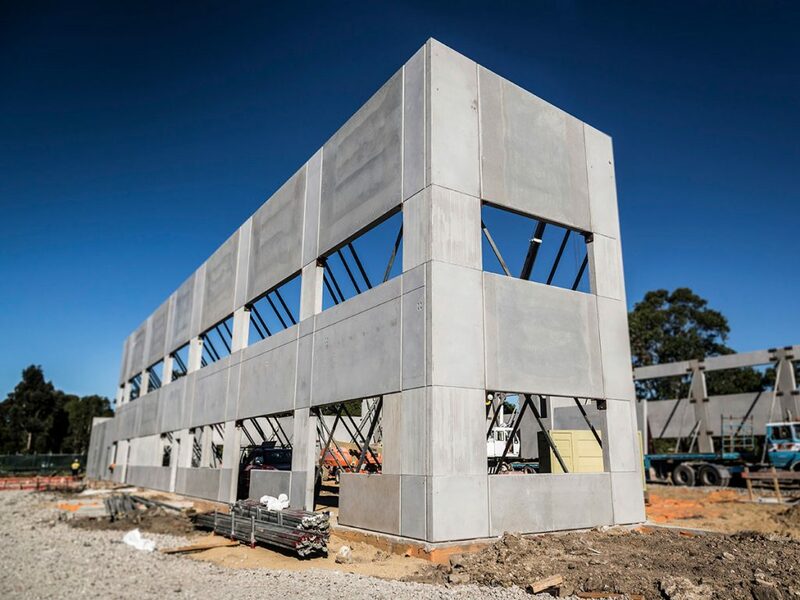 Structural precast panels are a great option for high-rise buildings, the efficiency with which they can be installed saves time, helps with on-site programming and improves safety as the panels are manufactured off-site in a controlled environment. Manufactured in structural and cladding panels, insulated or sandwich panels are designed to prevent thermal transfer from the outside of the building to the inside. This is achieved by making a layered panel with an internal layer of insulating material and specialised connectors to prevent heat transfer between the external and internal panels. This system is used in both commercial and residential construction to achieve high R-values (the measurement of a material’s capacity to resist heat flow from one side to the other), providing comfortable indoor temperatures and reducing heating and cooling costs. 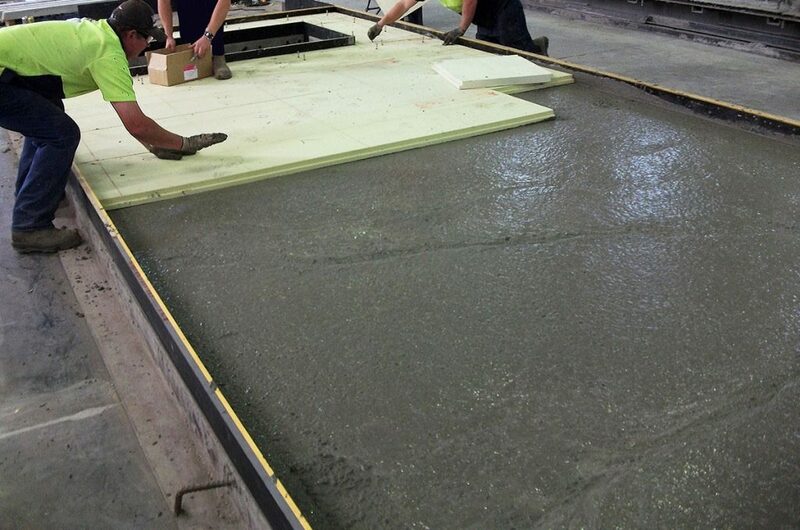 CIA Precast & Steel is one of the few companies that still manufactures insulated panels.